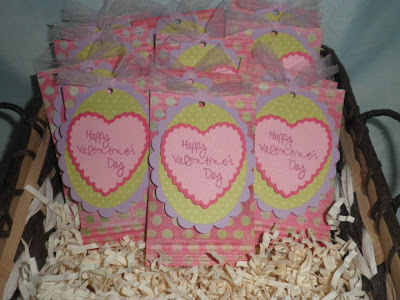 Paper Crafts by Candace: Valentine's! cute cute cute !!! Im jealous you are so far ahead LOL !!! These are adorable, really cute. I started buying some Valentine's things, prob going to wait till the last minute to get everything done lol. Love your treats! I like how the Panda tags turned out!! Very cute. I am working on Valentine's Day too. Yours came out very nice. Adorable! Where do get your bags for the M&M/Skittle sticks? So love the panda's. And yes even I have started to work on Valentine's day cards.... Thanks for sharing! I got the inspiration from your post yesterday to make these for Valentine's Day with the ladybug for Create A Critter. I just found your site and I love it!!! 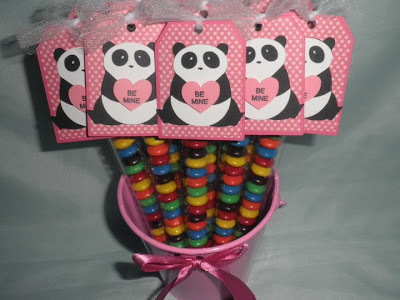 I love the Panda's with the skittles. Would you mind sharing where you purchased the bags from? Thanks!! !